As a continuation of the strategic Sales department restructure, Avtrade announces the appointment of Natasha Samarina to the role of Regional Sales Director responsible for Russia and Eastern Europe. Educated to degree-level in Economics and Business Administration, Natasha has rapidly established herself as a key member of the Sales team, quickly progressing and gaining promotions since joining Avtrade in 2008. 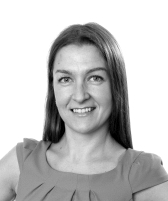 With her native fluency in Russian and Latvian, deep understanding of Eastern European culture and extensive industry expertise, Natasha is well placed to grow Avtrade’s business in this region. As part of her new role, Natasha will be heading up both the UK based Russia team as well as the Avtrade office in Moscow plus work in close collaboration with Vaidotas Zvirblys, Regional VP Sales - Russia & CIS, who is permanently based in the region.